If you are being treated for a blood disorder, it is time to look deeper and explore the underlying cause. Rather than simply addressing iron- or B12-deficiency anemia in isolation, ask WHY you have a deficiency in the first place. It is possible that damage to your intestines caused by gluten is preventing your body from absorbing the nutrients necessary to grow your red blood cells and keep your immune system healthy. And anemia is not the only blood disorder associated with celiac disease and non-celiac gluten sensitivity! 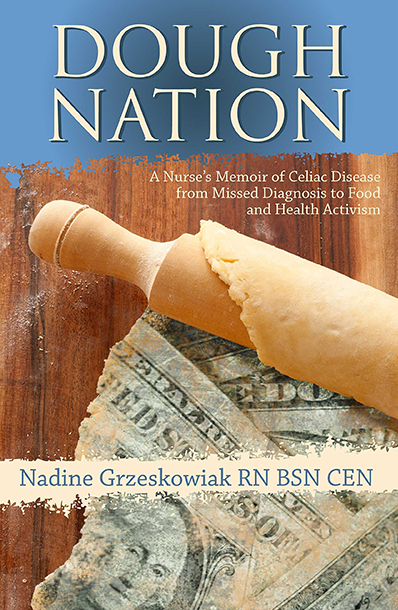 The Gluten Free RN is taking a closer look at the hematologic manifestations of celiac disease from anemia to hyposplenism. She explains the connection between disorders of the blood and bones, offering insight around why men with both anemia and osteoporosis are also likely to have celiac disease. Nadine discusses the danger in taking H2 blockers or proton pump inhibitors for GERD long-term, describing how those medications decrease the gastric acid necessary for breaking down food. She also addresses what you can do to identify any nutritional deficiencies in your blood and reminds us why celiac patients have difficulty absorbing the nutrients necessary to form red blood cells. Listen in to understand how the skin reflects what’s happening internally and learn how to prevent a number of blood disorders with a gluten-free diet!